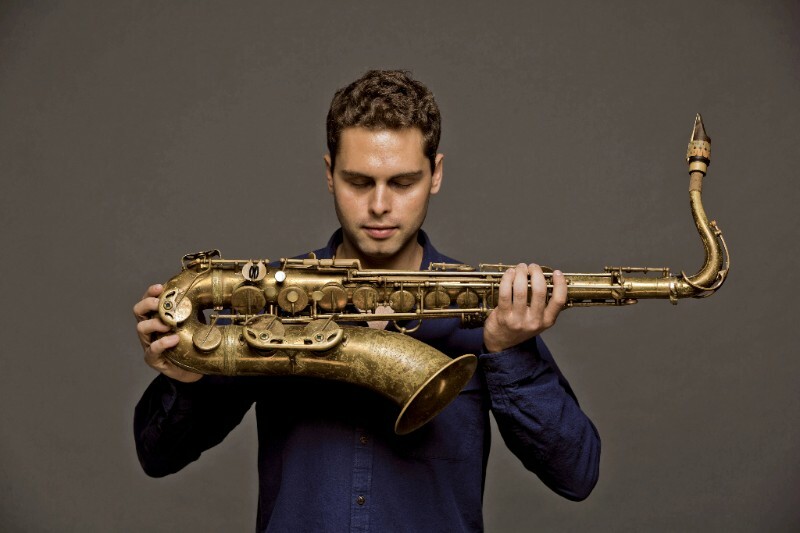 Ben Flocks Music | Saxophonist. Educator. I’m honored to announce that I am now a Borgani Saxophones Artist. The Borgani family includes many of the musicians who I have admired most throughout my life. I’m eager to continue to develop my sound with their expertise and guidance. Thank you Marco, Massimo & Orfeo for your kindness and dedication! And thank you for believing in me. My Borgani Vintage Jubilee Tenor is the instrument I’ve been searching for. From the moment I first played it, the saxophone felt like an extension of my voice. It sings, it wails and it whispers. The tone is sweet, powerful and warm. Until now, I’ve had to decide between playing a comfortable saxophone or playing a saxophone with a nice sound. Borgani instruments combine the beautiful and complex sound of vintage saxophones with modern ergonomics and feel. Their craftmanship is second to none – everyone at Borgani works tirelessly to make the most innovative and beautiful saxophones in the world. And they treat their artists with the utmost respect and care. 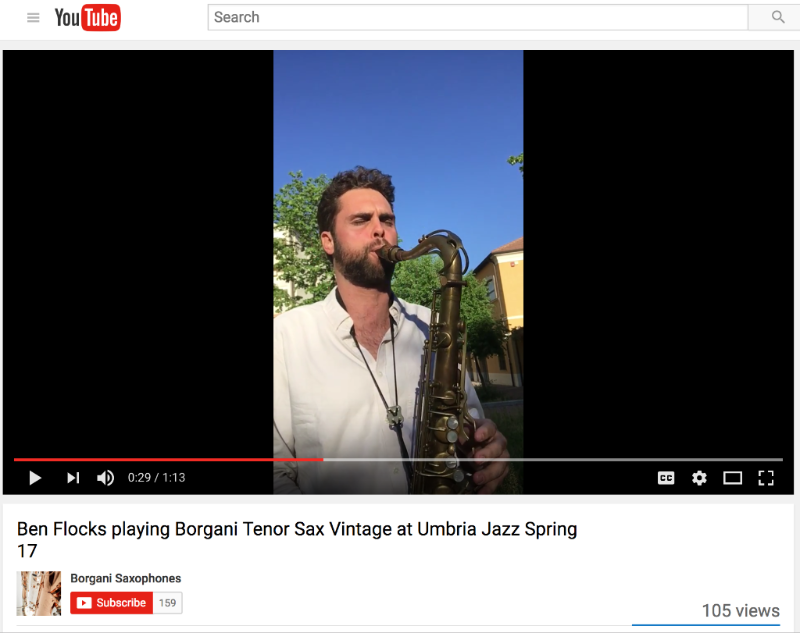 There’s a reason that the greatest saxophonists over many generations have chosen Borgani saxophones. I personally have never found an instrument that gives me so much joy to play. Borgani instruments have it all! It’s been awhile, so I thought I’d begin with a short letter I wrote to my friends in a post at the end of 2016 while I was traveling. Enjoy, and scroll down for some exciting updates! I’m so fortunate to bring in 2017 playing music in a beautiful place with incredible friends by my side. Each orbit around the sun we face new hardships, threats & uncertainties. We’re bombarded with tragedies, unbelievable truths. We step into the light, yet we’re pushed into the shadows. But life is so special. And we humans are evolving. We’re constantly discovering things about our race, our planet, our universe. We have so much information at our fingertips. Our minds are more brilliant than ever before. Still, many of us are blind. Our impact on our planet is great. It’s time to take action. We have to open up. What can we contribute? How can we help those in need & be the best people we can be? We need to support and care for each other. We must preserve our planet for future generations. For our sons and daughters. For radiant humming birds and giant grizzly bears. My goal this year is to inspire others to find the love I’ve found in music in everything they do. I also hope to share my love for the earth and work with others to explore and protect our planet. Let’s Dream. Sing. Play. Create. Research. Experiment. Build. Teach. Laugh. Forgive. Console. Admire. Conserve. Here’s to a new year. The best year yet. One we’ll always remember. I’m lucky to spend lot of my time on the road with Sammy Miller and the Congregation, and we’re getting ready for a summer tour around Canada, Europe and the US. If you’re in any of these cities, come hear us! Click for an updated list of all my gigs! 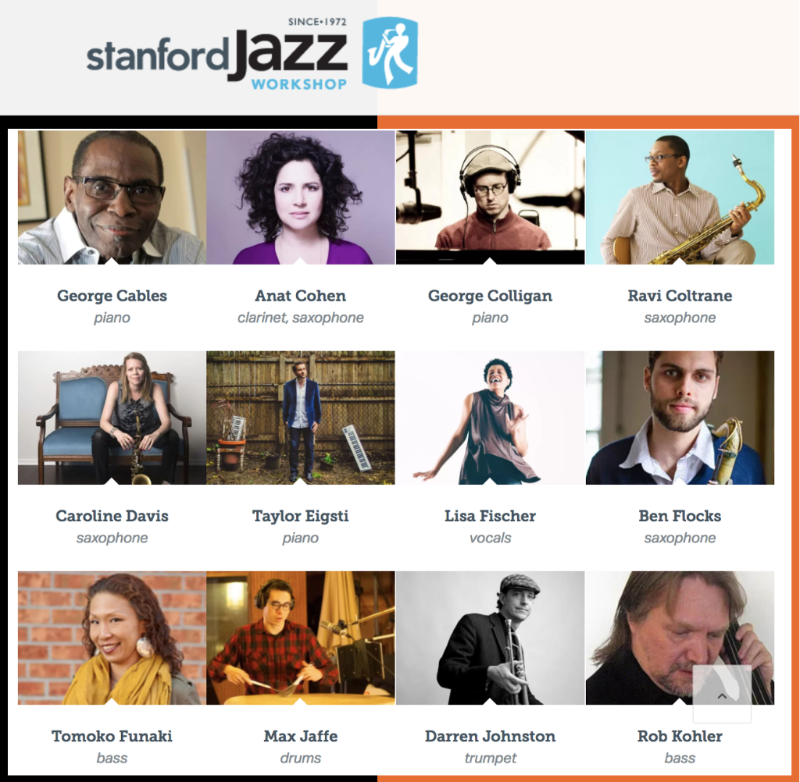 Faculty at the Stanford Jazz Workshop Jazz Institute July 30 – Aug 4 & guest appearance on Victor Lin’s Festival Concert July 27th! I’m honored to return to the Stanford Jazz Workshop for the 15th straight year. I started as a camper, worked as a counselor and then participated in their mentorship program in 2010/11. Now I’m excited for my first year teaching at the Jazz Institute. I’m on faculty alongside some of my favorite musicians, including George Cables, Ravi Coltrane and more. Check out the SJW website to sign up for their incredible educational programs, or check out some of the great festival concerts happening this summer! 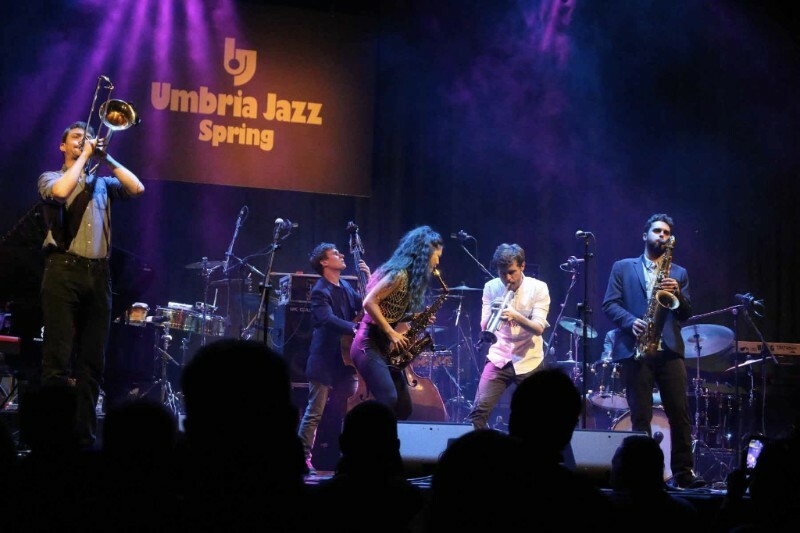 Last summer during Umbria Jazz 16, Borgani Saxophones extended me an invitation to travel to their factory in Macerata, Italy to play their legendary instruments. Since my visit, I’ve started playing their amazing “Flexitone” ligatures, and I had the opportunity to play one of their Vintage tenors during our shows at Umbria Jazz Spring in Terni. Here’s a short video of me playing the horn! I’ve performed with Sammy’s band non-stop for a couple years now, and we recently premiered our first full-length musical “Great Awakening.” We finished two sold out runs in Los Angeles and NYC this spring and we’re gearing up for more. This is our most fully realized show to date – with singing, acting, dancing and plenty of surprises. Come see us soon in a city near you! I learned a lot in 2014. In February, I released “Battle Mountain,” my first record with my own band. It was incredible to make music in my home state of California with my best friends – I’ll never forget it. Thanks to everyone for believing in my music! I was fortunate to have the opportunity to collaborate with cdza throughout the year, performing and recording around the world! We hit the slots in Vegas, performed in the English countryside, and shared the stage with Snoop Dogg and T-Pain. But the highlight was making a “History of the Saxophone” video for their Instrumentals series, which you can check out here if you haven’t seen it. It was one of the most challenging, yet rewarding musical projects I’ve ever been a part of; hope you learned a little something about my favorite instrument and had a good laugh too. I still rock my Kenny G wig occasionally, so be on the lookout. Through experiences teaching at the Stanford Jazz Workshop and Nueva Summer Music in CA, the Calhoun School in NYC, and through Jazz at Lincoln Center’s educational programs, I’ve developed a love for teaching. I learn as much in the classroom as I do on the bandstand, and I’m constantly inspired by my students. Many thanks to all my friends continue to help me nurture this love. I brought my band to the Stanford Jazz Festival, the San Jose Jazz Festival, the Monterey Jazz Festival, and the Earshot Jazz Festival. I was also a guest artist/educator for SFJAZZ for their Discover Jazz Series. I owe so much to everyone who works with these vital organizations to bring music to new generations. I along with so many of my peers wouldn’t be here without you! Our world is complicated and constantly evolving. Technology, wars, conflict, and political strife dominate the news. But we have music. Music heals us in hard times. Music makes us dance, it makes us smile. I’m grateful to have the opportunity to play my saxophone everyday. My goal for the new year is to find new ways to use music to make people happy and bring us together as one. I urge all of you to find a way to use your ideas, your words, your skills, and your talents to help make this world a better place. It’s up to us to stand up for what we believe in and make positive change. Now is the time. Let’s get to it. Love to you all for helping make this year musical, joyful, and unforgettable. 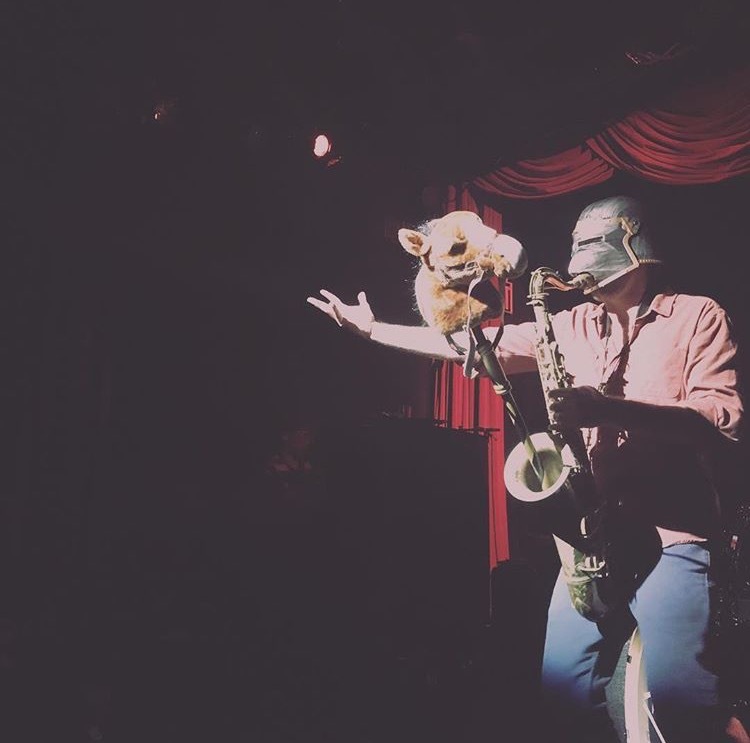 History of the Saxophone video w/ cdza & California Summer Shows! You may have heard of the YouTube sensations at cdza. cdza is a group of musicians and artists in NYC who create viral YouTube musical experiments. I’ve had an incredible time playing with them for the past year, and I’m happy to announce the premier of my feature “History of the Saxophone” video as part of their INSTRUMENTALS series. It was an exciting challenge to try and squeeze the history of the sax into just under ten minutes, but we did it! Check out the video here, hope you enjoy it. Also really stoked to play with my Battle Mountain band for three super sweet shows this summer in California. These performances will feature the entire band from my debut album – Ari Chersky on Guitar, Sam Reider on Piano, Rhodes, and Accordion, Garret Lang on Bass, Evan Hughes on Drums, and myself on Saxophone. You can purchase Battle Mountain here on cdBaby, and here on iTunes! And check out our four star review for Battle Mountain from Downbeat Magazine! Battle Mountain just received a 4 star ★★★★ review from Downbeat Magazine in their upcoming April issue! I started reading Downbeat when I was young, and it’s an honor to be recognized alongside so many of my musical heroes. Thanks to Sean J. O’Connell for the kind words. Battle Mountain reviewed in the Los Angeles Times! Battle Mountain Available Today 2/11! My debut album Battle Mountain is OUT TODAY! Thank you to everyone who has helped make this record possible. Hear it on iTunes, Spotify, bandcamp, cdbaby, and Amazon. Give it a listen – I hope the music makes you feel something, and I hope you enjoy. Tennessee Waltz video premiere and Nextbop.com feature! Excited to announce the video premiere of my band’s rendition of “Tennessee Waltz,” featured on my upcoming debut album “Battle Mountain.” Big thanks to Anthony Dean-Harris and everyone at Nextbop for featuring us on their front page today! Check out www.nextbop.com/blog/benflocksbattlemountain for the full article, and watch us play Tennessee Waltz during our session at Tiny Telephone Recording back in March at the link below. Incredibly excited to kick off 2014 by announcing the release of the EPK for my upcoming record “Battle Mountain.” The video features footage from the recording session at Tiny Telephone back in March, along with live performance footage and interviews with my bandmates. Thanks to everyone who helped make this possible! Stay tuned for announcements regarding our record release shows coming up in February; Battle Mountain is out February 11th. Love you all, let’s have a musical 2014!